TARA Labs is very proud to announce that Exclusive Audio & Video is now the exclusive distributor for all TARA Labs products in Russia! 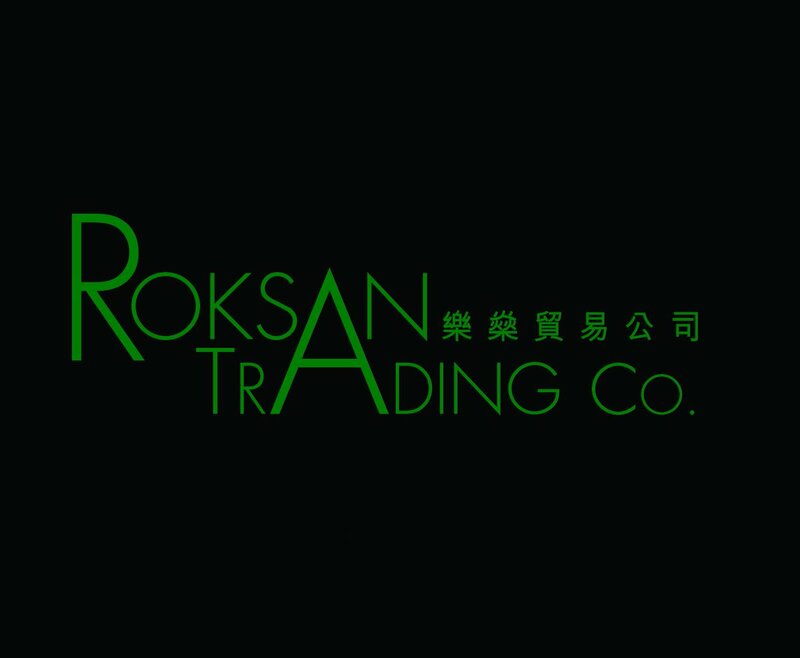 Doyen Sourcing LTD. is now the exclusive distributor for all TARA Labs products in Bangladesh! Core Audio LTD. is now the exclusive distributor for all TARA Labs products in Hungary! TARA Labs is very proud to announce that ElectroLynx is now the exclusive distributor for all TARA Labs products in Kuwait! The Limited Edition Artist Series cables are an mid-level to reference series of interconnects, speaker cables, digital, and AC power cables. The Artist series has been specifically custom hand crafted to offer customers an outstanding cable series that will enhance any high-end audio system’s performance. Exceptional care in the design and technological development of these cables has been made to assure these cables are of the highest standards of quality! The Artist LE is an audio cable series that was custom designed to reveal an audio system’s level of music, just as it was recorded and intended to be played. Neutral and natural, with excellent high frequency extension, spatial cues, and tight and solid mid-range and bass. The listener can expect to hear excellent musicality and a wide soundstage. The Limited Edition Master Series cables are high-end reference series of interconnects, speaker cables, digital, and AC power cables. The Master series is a custom hand crafted audio cable series that will greatly enhance and improve any high-end audio system’s performance. A year in the making, the intense research regarding the design and technological development of these cables has allowed us to create a magnificent high-end audio cable series. 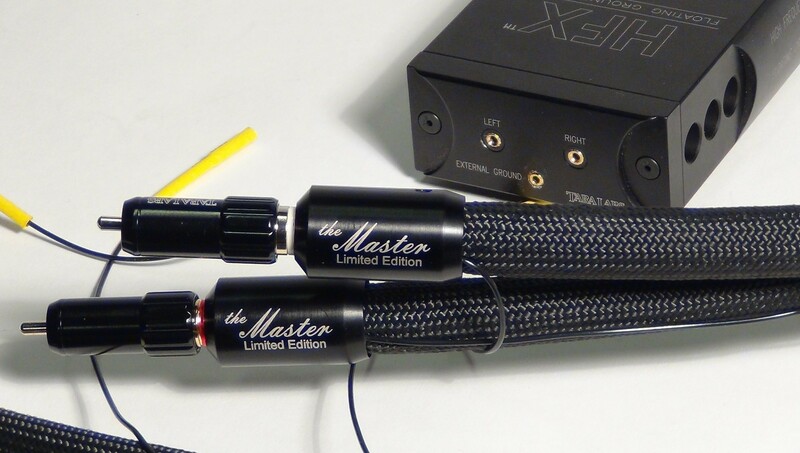 The Master LE is an audio cable series that was specifically custom designed to reveal the music just as it was recorded and intended to be played. The Master LE sound characteristics can be described as extremely neutral and natural, with exceptional high frequency extension, spatial cues & nuances, breathtakingly solid and tight mid-range and bass. The listener can expect to hear exceptional musicality with a holographic three dimensional soundstage. Introducing The Muse Series Audio Cables! “In a world of audio cable articulations, high frequency extensions, low capacitance, and expansive sound staging, TARA Labs introduces a new cable series with a phenomenal characteristic. And all you need is just one word to describe it: MUSICALITY!!!" Most audiophiles can be categorized into two main categories: Those who crave to hear every detail possible of the musical instruments playing. And those who want to close their eyes and imagine they are sitting right in the middle of a live orchestra, while the musicians play music around them. The Muse Series audio cables offer an opportunity for an audiophile to have it all! TARA Labs is extremely proud and excited to introduce a brand new high-end audio cables series called, The Muse. Beginning with the Muse interconnects, this new series will offer the listener a cable that has superb high-frequency extension, as well as being exquisitely revealing of low level ambient and spatial information. You will hear an impressively low noise floor, pin-point imaging with the absence of distortion, which also includes an equally impressive soundstage. 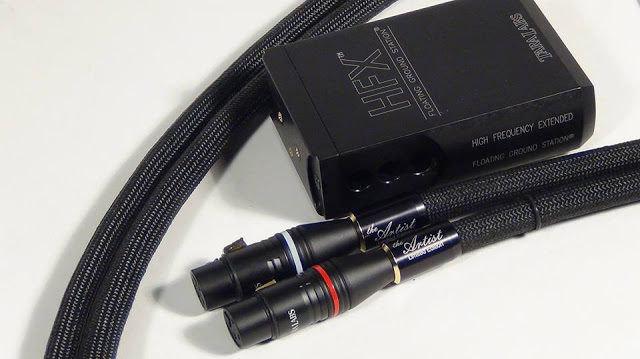 Rounding out this complete audio cable package is a characteristic presence of superb musicality! The listener can expect to hear their music played with such feeling and such emotion, that the performance level of these cables would absolutely alleviate any thoughts of uncertainty or doubt, by even the strongest critics of an audio cables performance. The Muse series cables will take the listener to places of musicality that very few cables can ever hope to match. Over the years, TARA labs audio cables have been paired with many of the world’s high-end components, and always with fabulous results. 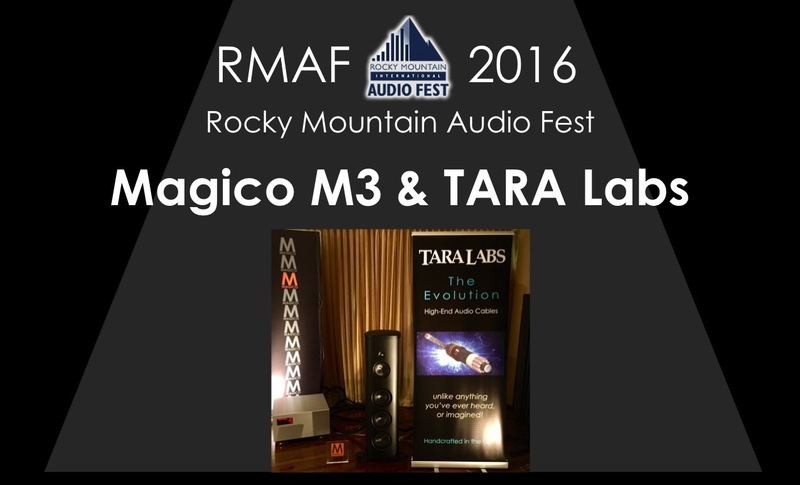 Magico’s new M3 Speaker was introduced at Rocky Mountain Audio Fest 2016 paired with TARA Labs Zero Evolution interconnects & Omega Evolution SP speaker cables. Omega Evolution AC power cables were also used. "I was there, and the sound was fabulous!" Jonathan Valin gave a in review of their performance in The Absolute Sound Sep. 7th, 2016. Magico certainly created a wonderful new loud-speaker. Paired with TARA labs high-end reference cables at the show really created a sound deep in detail, depth, soundstage, and musicality. Just click “Evolution Comments” to see some of the comments reviewers have written about them. TARA Labs celebrates their 30 year anniversary with “The 30LE” audio cable! TARA Labs has created this exceptional interconnect in celebration of our thirty years in business. The 30LE is a limited edition cable with only thirty cables being manufactured. Every cable is hand-crafted in Oregon, USA. The 30LE will offer the listener a cable that has superb high-frequency extension, as well as being exquisitely revealing of low level ambient and spatial information. You will hear an impressively low noise floor, pin-point imaging with complete absence of distortion. An equally impressive soundstage, as well as musicality is present in its overall sound. The 30LE comes complete with TARA Labs legendary HFX Floating Ground Station System. This phenomenal interconnect will only be available through TARA Labs. Please contact if interested. Customer Service… to be proud of! Please let all the personnel know that I fully appreciate the quality of their products, the expert work they do and the patience and time they take to do it. I know fully well that no one in your company would ever do less than the reputation of your company demanded. 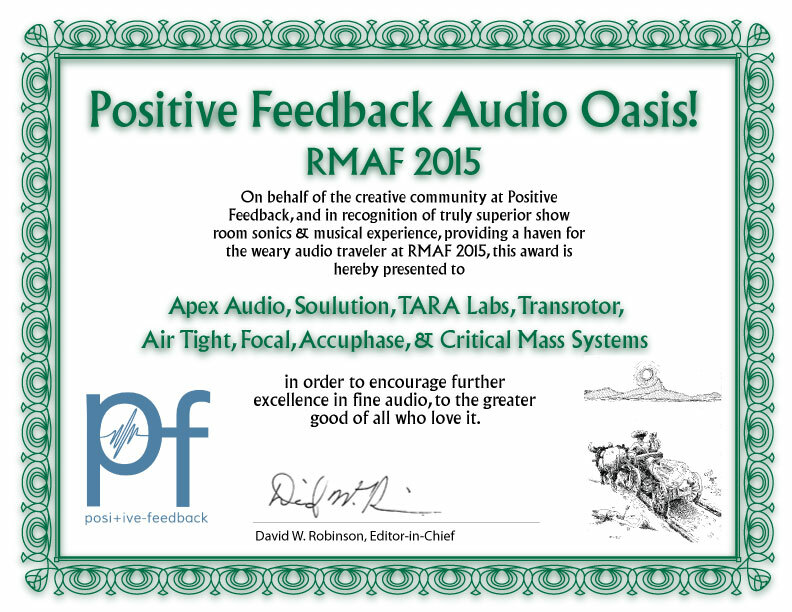 APOLLO SERIES: It’s 2016, and TARA Labs is very excited at presenting an introduction to our newest line of entry level high-end audio cables. In mythology, Apollo was one of the twelve mythological deity gods that were worshipped by the ancient Greeks and Romans. Apollo was the god of music, poetry, healing and light amongst other virtues he was endowed with. TARA Labs has taken that inspiration from this mythology as well as what Apollo represented, and named our new line of audio cables for those very qualities that made him a god to the ancients. Apollo Series cables will represent a new era in entry level products for TARA Labs. We developed this brand new concept for the Apollo, keeping in mind the relationship they will have with their counterpart components. In electronics, we sometimes refer to trickle-down technology. At TARA Labs, we make full use of this term by incorporating numerous technological advances and designs from our higher-end reference cables into the Apollo Series audio cables. Compared to the TL series, Apollo cables have a more coherent construction and design which translate to a substantial enhancement of soundstage, high frequency extension, spatial cues, improved noise floor, as well as enhanced musicality. 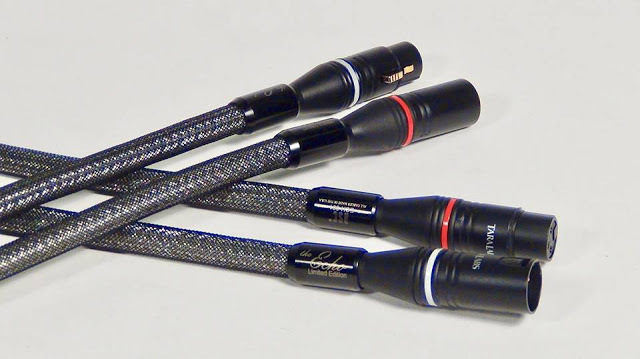 The Apollo Series cables will be replacing our current line of entry level cables, The TL Series. 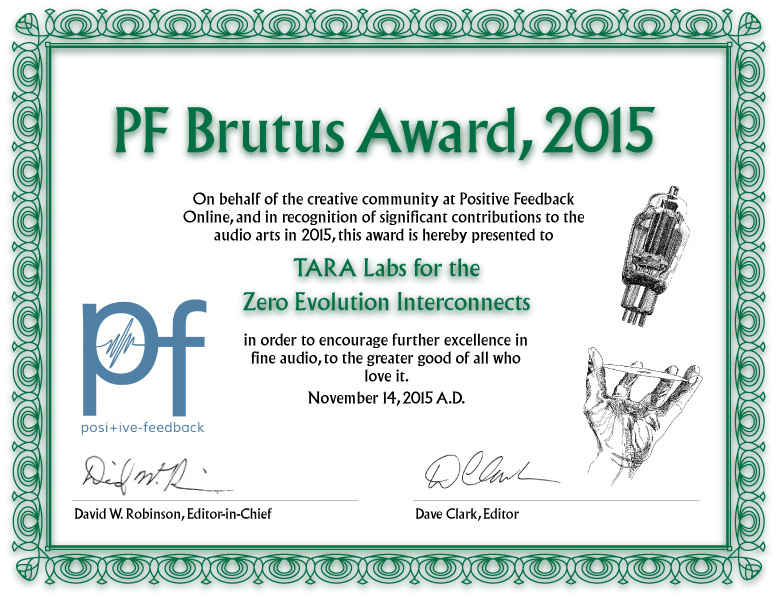 THE MUSE INTERFACE: TARA Labs has been at the forefront of design & technology for thirty years. In that time, TARA Labs has been credited with numerous “first inventions” in the field of high-end audio cables; Rectangular Solid Core (RSC), vacuum dielectric technology (VDT), and now we are introducing the advent of a fantastic new product known as: The Muse Interface. If you could improve the sound of your audio system, what would that be? Would it be a more expansive soundstage, less glare or stridency, more musicality? In an effort to expand our product line to bring audiophiles closer to the “live-sound”, TARA Labs is now introducing The Muse Interface Sound Enhancement System. You can now add this incredible technology to your audio system and improve your sound like never before! And it works with any audio system or audio cables regardless of brand. The Muse Interface can be connected to any RCA or XLR cable termination, and what you’ll experience is a lower noise floor, wider sound-stage, more presence, mid-range warmth and richness, as well as enhanced musicality without sacrificing detail and high frequency extension. A sound that is more coherent and natural, bringing you closer to the “live-experience” like never before! The Muse Interface is unlike traditional shielding methods or filter networks. Even complex shielding methods still remain in proximity to the conductors, thereby distorting the audio signal. Filter networks in boxes at the ends of the cables often contain low quality resistors, inductors and capacitors to perform the filtering. These reduce RFI/EMI in the cable itself by being soldered in series and parallel between the signal conductors. This alters the integrity of the signal, in particular, the higher order harmonic structure. Using The Muse Interface, RFI/EMI is dissipated and absorbed within the Muse technology. This function occurs in isolation from the signal conductors. The signal path is not cut and fitted with additional components. The Muse Interface is extremely effective in eliminating the noise of RFI/EMI without the attendant high-frequency anomalies of filter networks. This translates into a sound that is closer to live than ever before. THE ZERO GOLD G2 (Gen2): One of the most successful audio cables of all time is the original ZERO Gold Interconnect from TARA Labs. The original ZERO Gold was praised for its breakthrough performance. In the Gen 2 design, technology has literally been borrowed from the famous and more expensive ZERO Evolution Interconnect. Available now is the ZERO Gold Generation 2 Interconnect at a lower price with complete flexibility and better performance than the original ZERO Gold. The breakthrough improvements include greater bandwidth and a completely new and proprietary air-dielectric construction. TARA Labs first introduced air dielectric interconnect cables in 1986; 30 years ago. And instead of using round conductors in air-tubes, TARA Labs uses Rectangular Solid Core® (RSC®) conductors which are 'seated' inside small air-tubes™. The new Zero Gold G2 makes full use of this technology. The new Zero Gold G2 will offer the listener an audio cable that is absolutely fabulous! Extremely low in capacitance at 3 pF, with a sound that can be described as holographic. Exceptional high-frequency extension and detail, expansive soundstage with spatial cues with a bottom end that is rich and full of bloom, in addition to a substantial low noise floor. This interconnect is simply astounding for the price. And for audiophiles who remember the original Zero Gold, the flexibility of the new Zero Gold G2 will simply amaze them. TARA Labs “SP” Speaker Cables: As the loudspeaker cables carry much higher signal voltage and current into a non-linear impedance (the loudspeaker) the reactive load of the loudspeaker can be difficult for some amplifiers to drive... and the all-important damping factor of the amplifier does change from amplifier to amplifier. The phenomenon is readily apparent, heard as bass that is soft and low in amplitude, sometimes together with high frequencies that are too smooth or rolled-off, in addition to a loss of musicality. 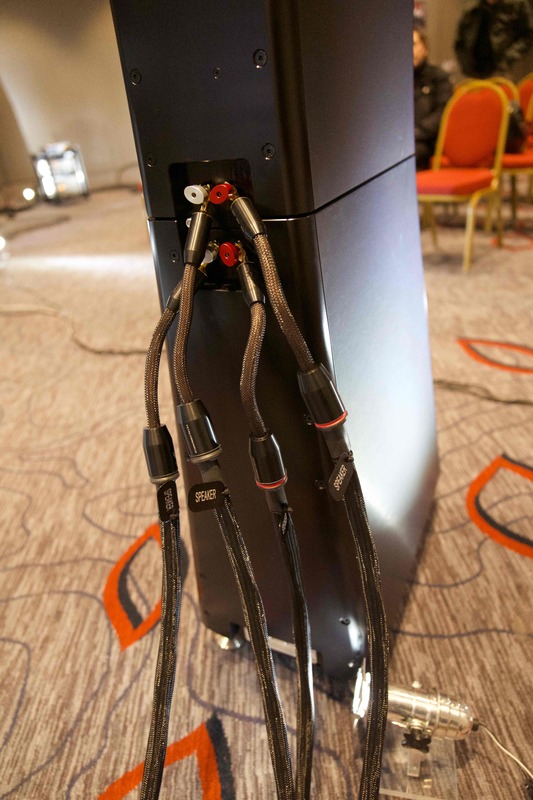 However, when these amplifiers are connected with TARA Labs ‘SP’ speaker cable models, the output of some high-end loudspeakers instantly becomes audibly improved at variable frequencies. One of the great attributes of the TARA Labs ‘SP’ speaker cable models, are the 'state-of-the-art' technology and design that was created by TARA Labs. Their performance level is absolutely spectacular when matched with the majority of high-end audio components available today. TARA Labs ‘SP’ cable models are now available in the Evolution series cables; Air Forte, Air Evolution, Omega Evolution and he Grand Master Evolution. Evolution Series Audio Cable Pro-Reviewer Comments! Counterfeit Warning: Attention TARA Labs Customers! Please contact TARA Labs for the location of one of our official distributor/dealers, where you can purchase official USA hand-made TARA Labs cables. Please be warned that there are cable counterfeiters all over the world, who claim to have, and offer official TARA Labs cables. These criminals manufacture and design fake TARA Labs cables, and sell at discounted prices. What a customer buys when dealing with them, is not a hand-made, lifetime guaranteed, official TARA Labs cable that is backed by almost thirty years of excellence. What they get is a cable that looks like a TARA Labs cable on the outside, but sounds horrible on the inside. The money you just spent on these counterfeit cables is lost! 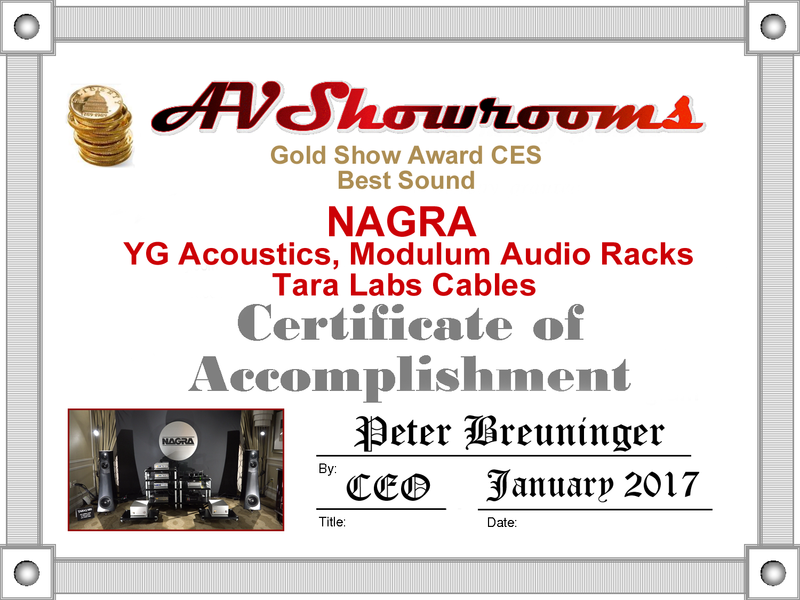 These counterfeiters have not only targeted TARA Labs cables, but other high-end quality audio cable manufacturers as well. Please contact us before you buy any TARA Labs audio cables.